After three straight-up heist films, this week's choice is actually more of a psychological thriller than a typical genre film. 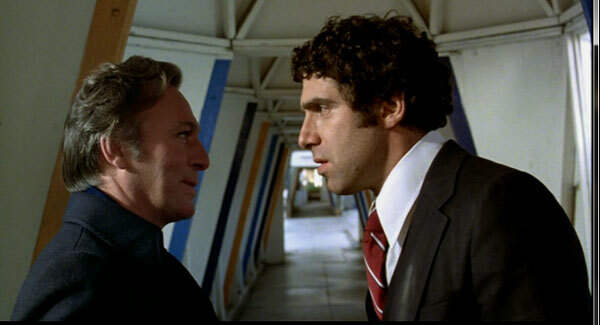 Released in 1978, The Silent Partner is a little-seen Canadian film with a solid cast and an intriguing story. What happens when an upstanding good guy turns the tables on the criminal? So, what’s this story about? Miles Cullen (Elliott Gould) is a mild-mannered bank teller living a solitary life and pining after his co-worker Julie (Susannah York). By chance, he discovers the possibility of an upcoming robbery by the vicious Harry Reikle (Christopher Plummer). Planning ahead, Miles swindles Harry out of most of the money and takes it for himself. This leads to a game of cat and mouse between the two guys that continually raises the stakes. Miles also becomes involved with the young, attractive Elaine (Celine Lomez), who may not be so innocent. Meanwhile, Harry looks for a way to get revenge and acquire the loot from the clever bank teller. Harry's heists are a long way from the inventive constructions of The Italian Job. Basically, he just hangs out in the mall dressed as Santa Claus and waits for the right opportunity to make his move. There is something brilliant in the simplicity of passing a note informing the teller that he has a gun. It's not an original approach, but it's pretty effective, barring the obstacle of someone like Miles. He outsmarts Harry at nearly every turn, though not everything happens like he expects. His methods for stealing the money are much harder to spot because he can just blame Harry for it. Barring any concrete proof, the cops are more likely to believe a straight-arrow teller over an everyday criminal. It's fairly easy to root for Miles, especially after seeing Harry brutally attack a girl he picks up at a bar. 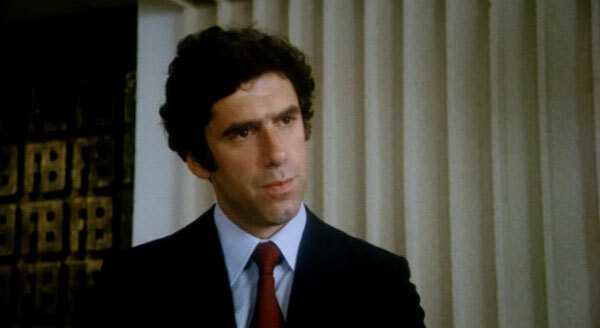 Elliott Gould makes for a convincing regular guy and looks different than your typical leading man. Miles does treat Julie inconsistently, wooing her at one moment and then tossing her aside in the next. She's not a lot better, however, and is having an affair with their really bland (and married) boss. When the stunning Elaine appears on the scene, Miles's distraction away from Julie is partially understandable. It's obvious the young woman's hiding something, and it's not clear at first whether Miles can see beyond the physical attraction. The Silent Partner includes some excellent set pieces with Gould and Plummer switching up who's in control. Harry is stalking Miles at his apartment but it's not a one-sided siege of a helpless man. Unlike the professionals of The Italian Job or The Killing, Harry is a psychotic killer who enjoys causing pain. Even someone who cooperates with him might die just for his amusement. One of the best sequences has Miles inviting his opponent up to his apartment and then sneaking out to taunt him from the same pay phone Harry uses. It seems like there's no escape for him, but Miles has a more tricks up his sleeve to keep the game even. The heists actually take up a very small portion of the story. We spend a lot of time with Miles as he attends work parties, does his daily work, and gets to know Louise. Nothing monumental happens at the party, but it's actually one of the best scenes. Miles takes Julie to the event to cover for her affair with the boss, and he ends up spending time with that guy's wife. Watching the characters interacting apart from the main plot adds depth and shows that life exists beyond the bank heist. This film also includes an early appearance from John Candy as office goofball Simonsen. He doesn't play a major role in the story, but his natural charisma is obvious. I wouldn't exactly call Harry's plan a perfect one. He doesn't count on the bank employees paying enough attention to catch onto his schemes. Who would pay attention to an unassuming Santa? Of course, this Santa appears to hate kids, so I'm not sure he could avoid notice for so long. Regardless, it takes an observant guy like Miles to realize something's happening and take advantage of the situation. Harry frequently underestimates the modest teller and ultimately pays the price for his arrogance. Although it moves away from the genre standards, The Silent Partner is a surprising gem that deserves more attention. Gould and Plummer make for interesting adversaries and help to deliver an effective thriller. Next week, I'll close out this marathon by heading to South Africa to help Thomas Jane rob banks in Stander. On Wednesday, I'll also revisit a memorable episode from Alias, a great show that included some intricate, exciting heists. i love elliot gould, i think im gonna have to see this one. 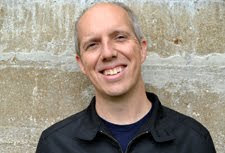 I'm also a big Gould fan, and I definitely need to check out more of his work. I'm pulling together a top 5 for Friday, and it's been pretty tough. because you haven't seen much or because there's a lot of great performances to choose from? Sadly, it's because I haven't seen enough of his early work besides the big ones like The Long Goodbye. The top two were easy, but the others are a bit trickier. I'm pretty confident I have a decent Top 5, but I wish I'd seen more so I had a larger group of options. i'll wait to see what friday brings and recommend some then. good luck. WOW, who knew Capt. Von Trapp would make a pretty woman! I have to see this one just to see Plummer. Interesting series Dan, love it. Thanks Ruth! 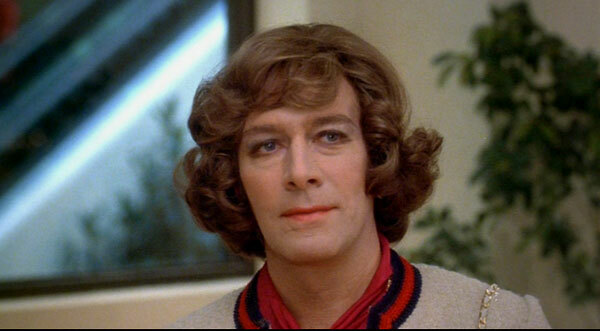 Plummer is gleefully nasty in this movie, and seeing him dress up as a woman (and Santa) is a bonus. It's definitely worth seeing if you get the chance. 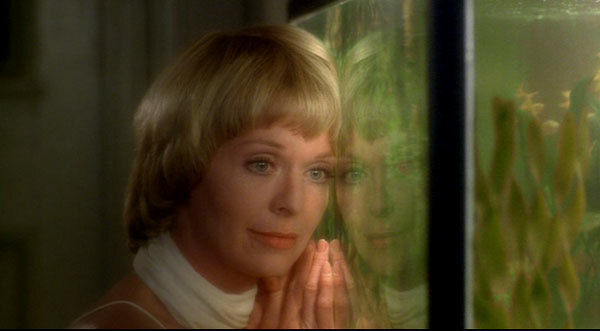 I miss seeing Gould in big screen stuff. He seems to be a=in every TV show going at some point. But he has such a great voice. That's funny, Scott. I thought you were a new reader until I saw the post. I agree about Gould. Looking at his recent roles, they're mostly just guest appearances on TV shows. My guess is that he's taking it a bit easier due to his age. Elliot Gould is just all kinds of cool!